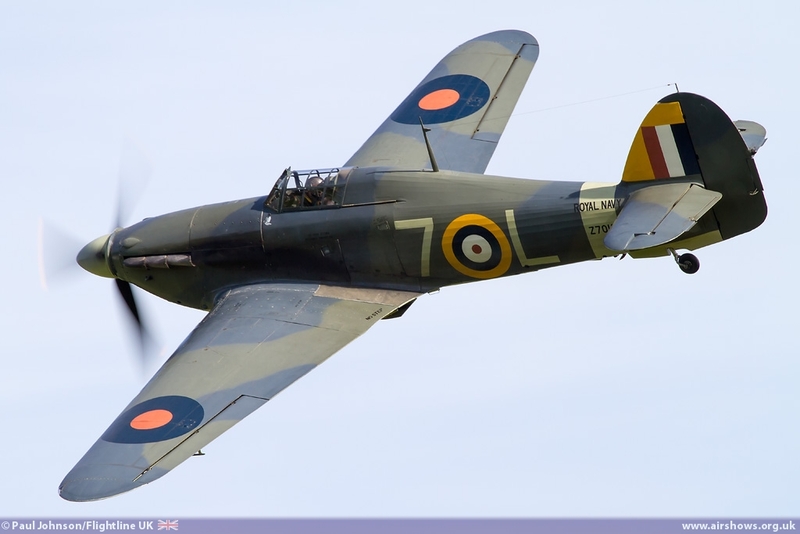 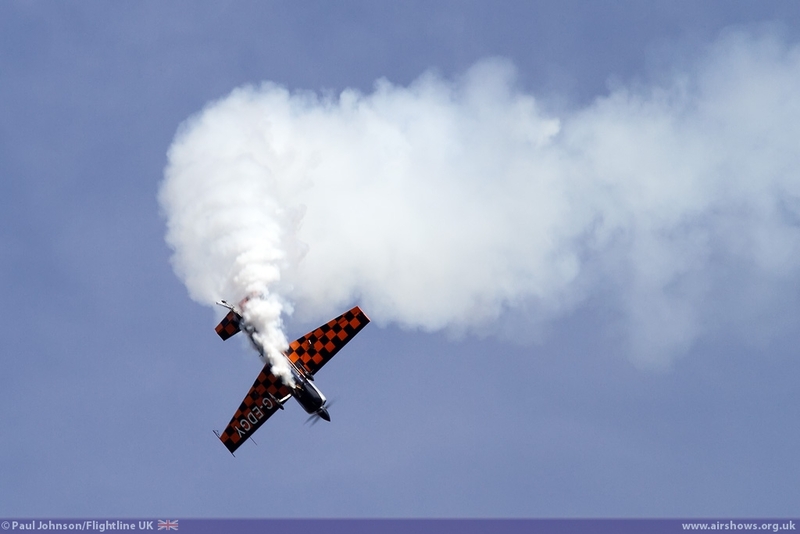 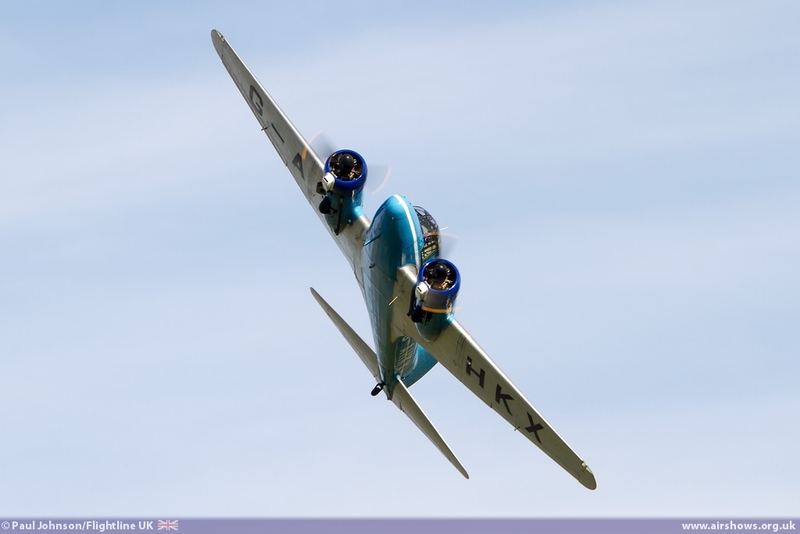 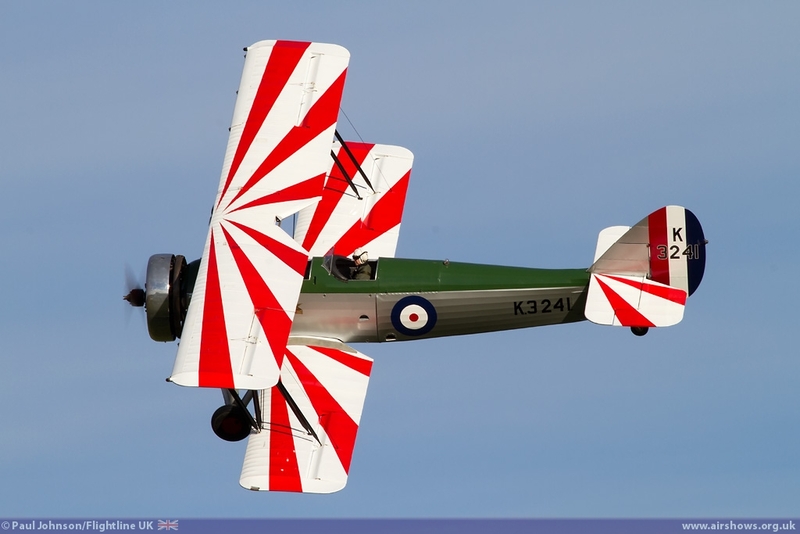 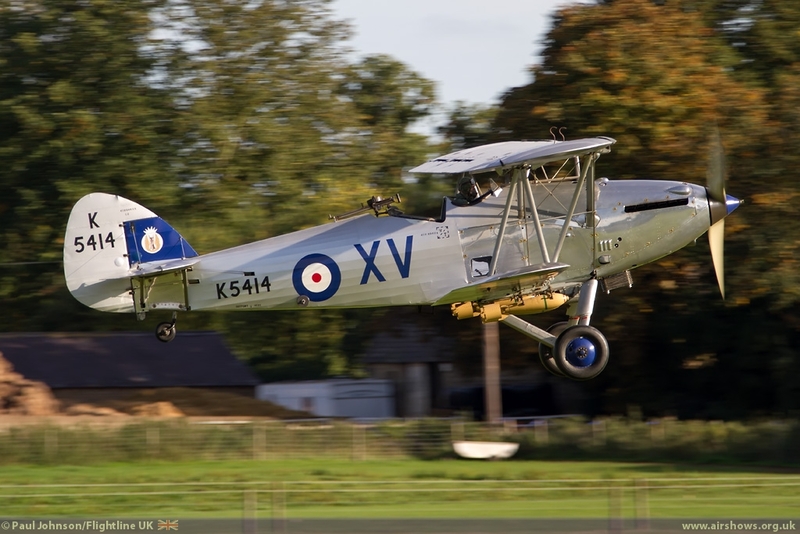 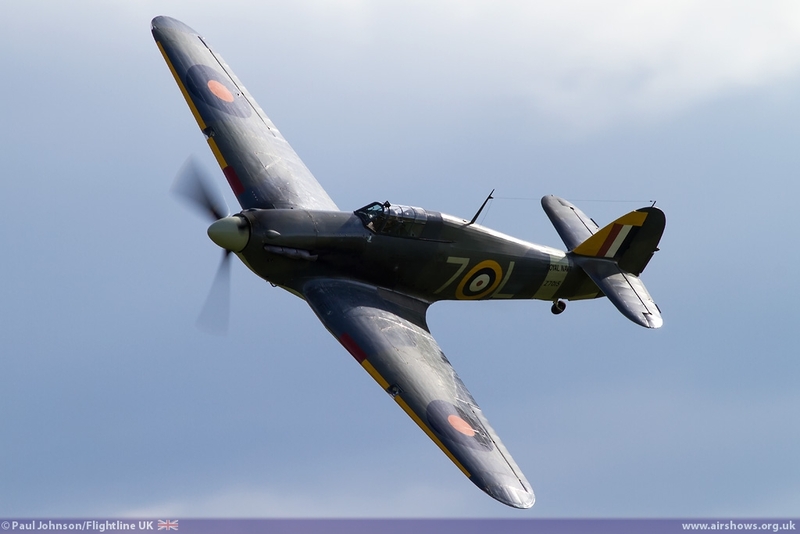 The penultimate air display of the season is the Old Warden October Flying Day. 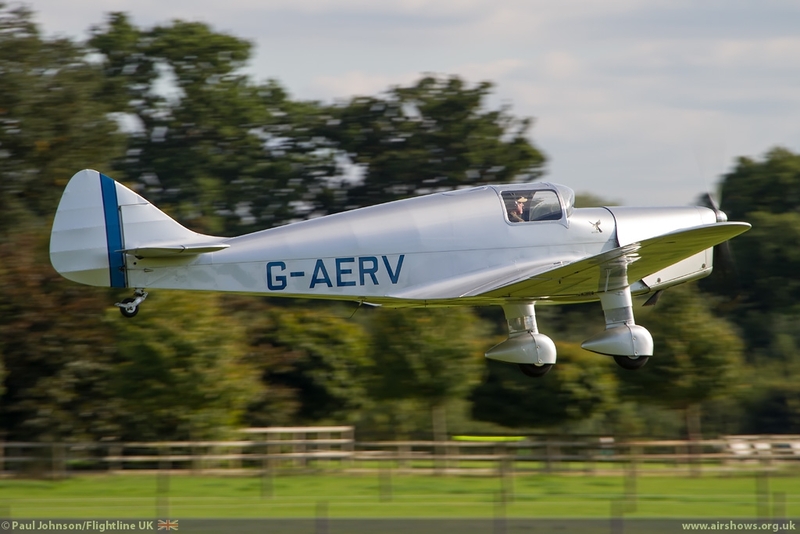 Blessed with some of the best weather of the year, this Flying Day presented a very wide cross section of flying from the Edwardians period right through to the 1950s and the Jet Age. 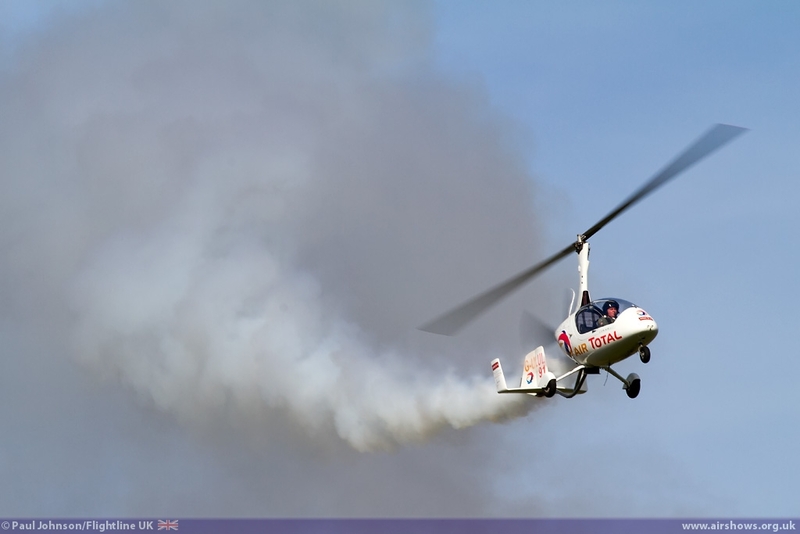 The show also included some great visiting displays highlighting the world of autogyros and unlimited aerobatics. 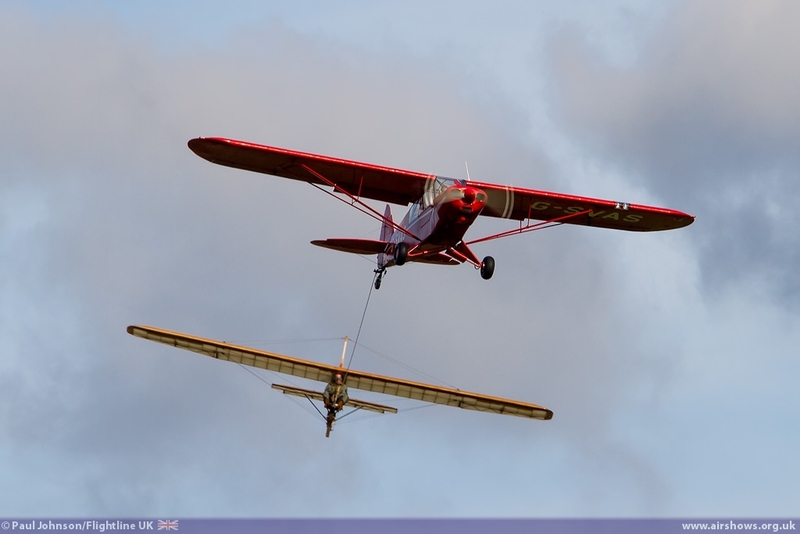 The October Flying Day marked the end of a very special displays season at Old Warden which celebrated 50 years since the collection first opened to the public. 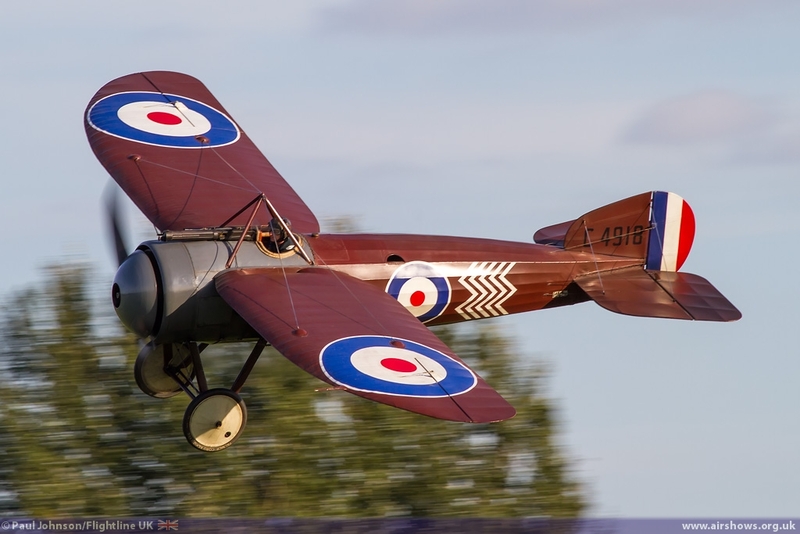 It was also a season which took on a slightly different shape with more emphasis on the major daytime events over the flying evenings. 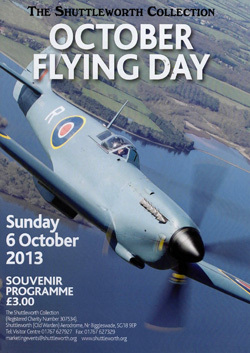 However the first Sunday in October remained on the calendar as the Collection’s finale to their flying season. 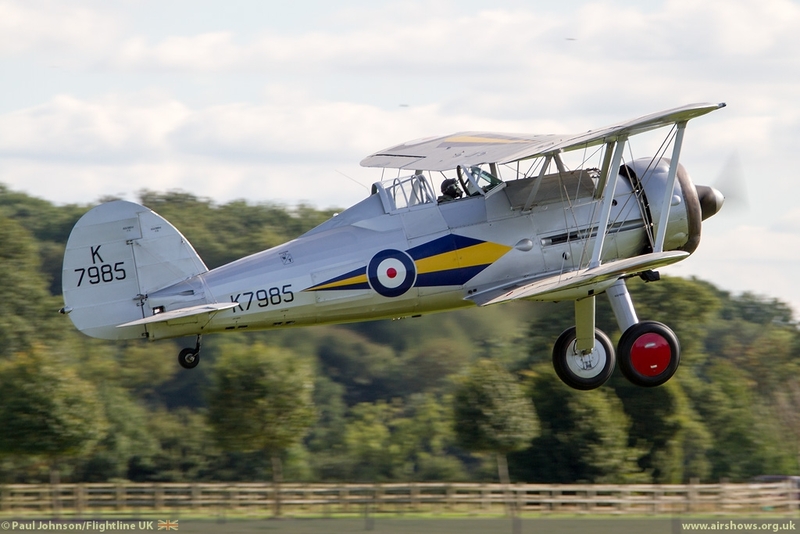 The morning marked a new beginning however with the arrival of the Percival Mew Gull which has become part of the Old Warden based fleet of aircraft. 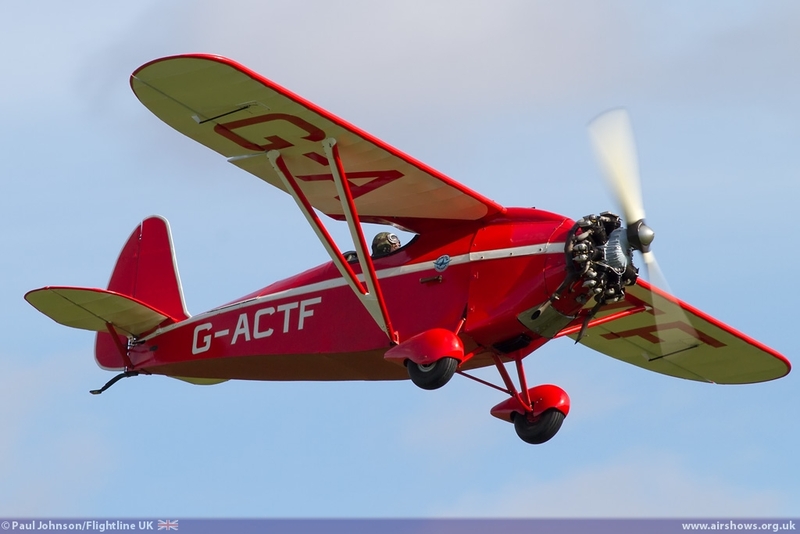 While it is not the first time this particular aircraft has been based at Old Warden, it is a very welcome returnee fitting in well with the collection’s fleet of 1930’s sporting aviation types. The flying started my perhaps the most elementary machine in the Shuttleworth Collection’s inventory, the EON Primary Glider which was flown by Chris Heames. 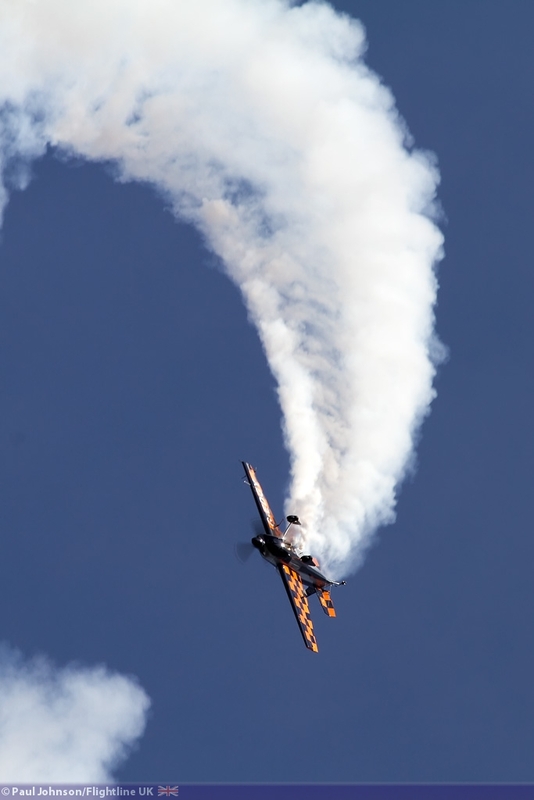 It is an incredible aircraft to see fly, not least because you can see every control movement that the pilot makes on his descent. 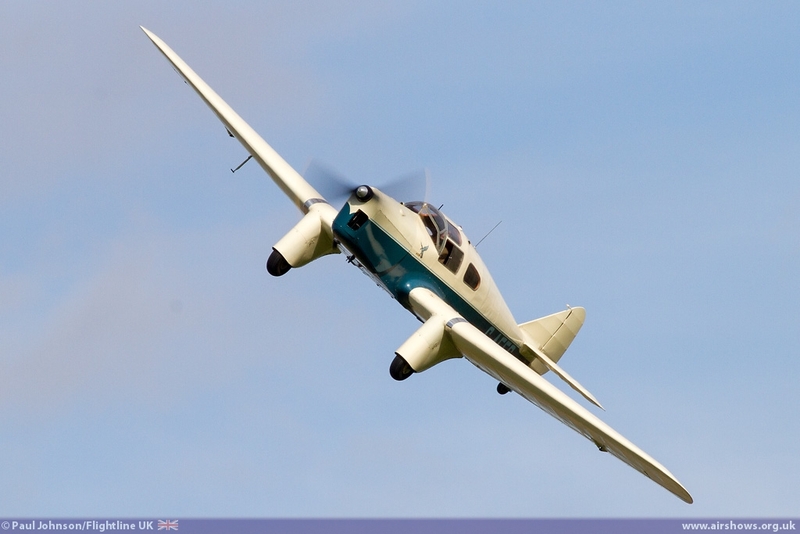 The display returned to civilian flying following the Lysander and in particular looked at 1930’s style air racing. 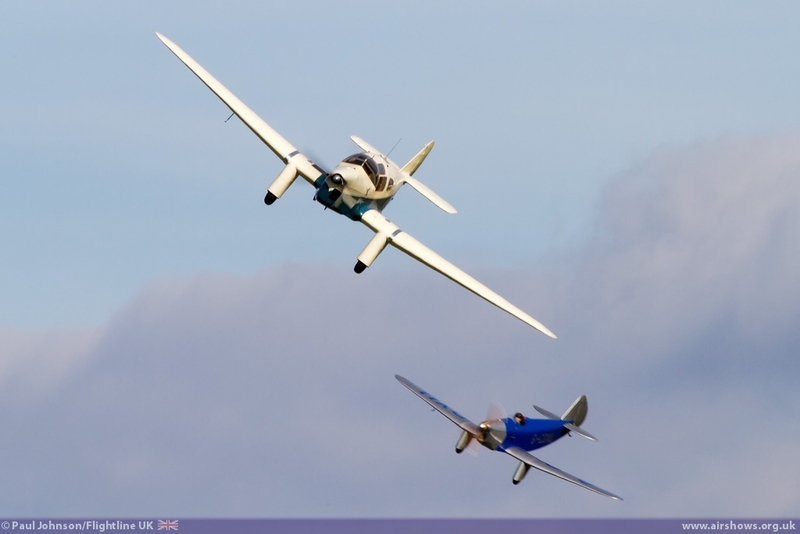 Seven aircraft got airborne in a streamed take-off for a recreation of a typical race around a triangular course using local landmarks as the turning points. 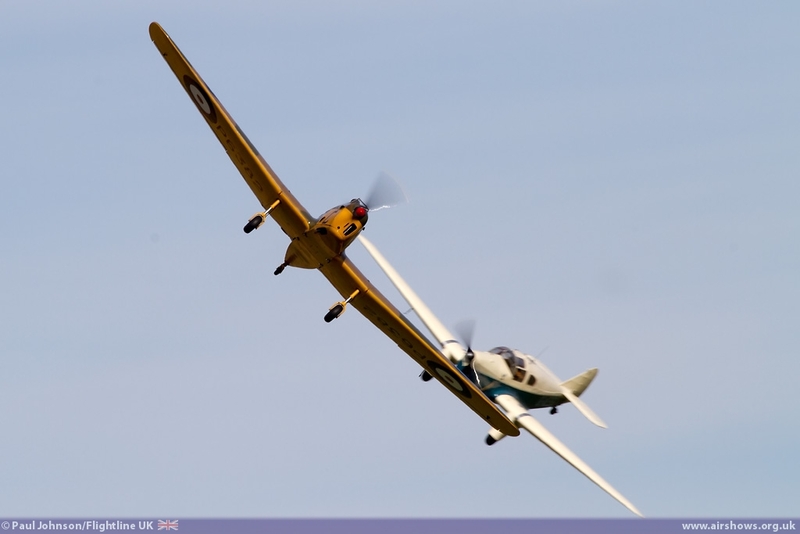 There was a significant number of Miles aircraft involved with Sir John Allison’s Miles Gemini, Peter Holloway’s Miles Falcon, Jez Cooke flying the Miles Witney Straight and the Shuttleworth Collection’s own Miles Magister. 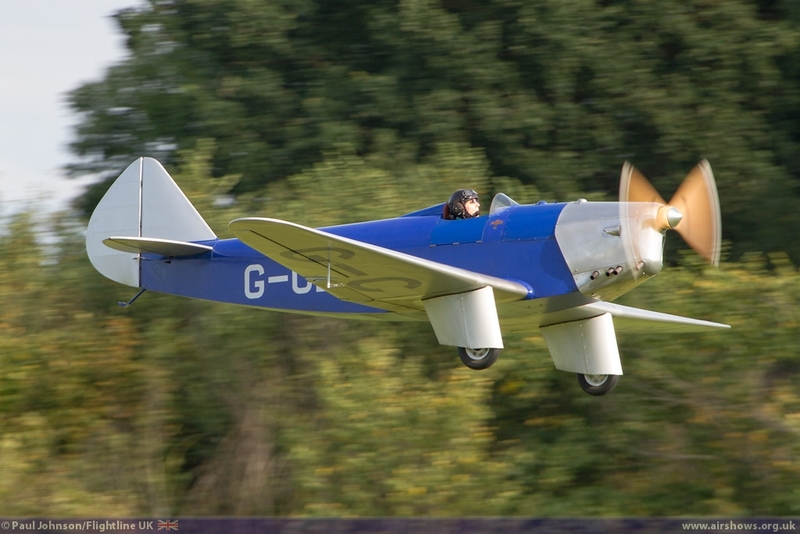 The rest of the field saw the wonderful Old Warden based pair of Chilton DW1s and the Comper Swift vie to the lead the race which saw the aircraft complete five laps of the course before diving for the finish. 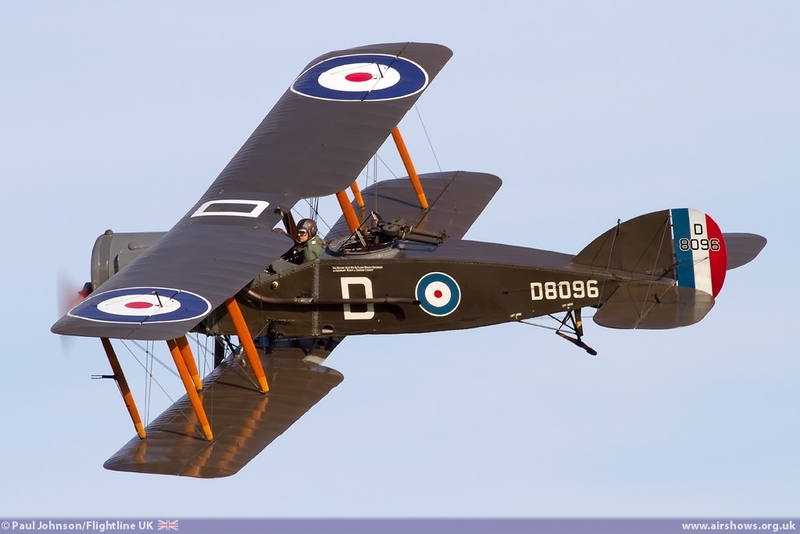 The civilian theme was continued by the visiting acts. 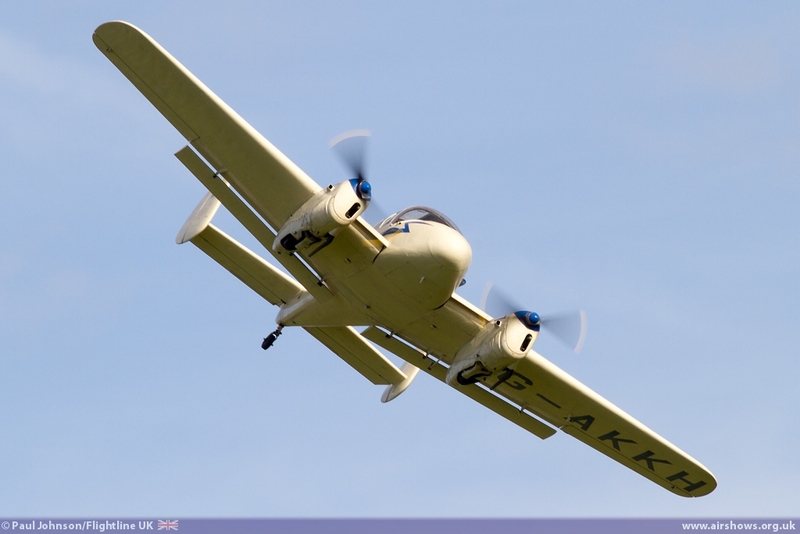 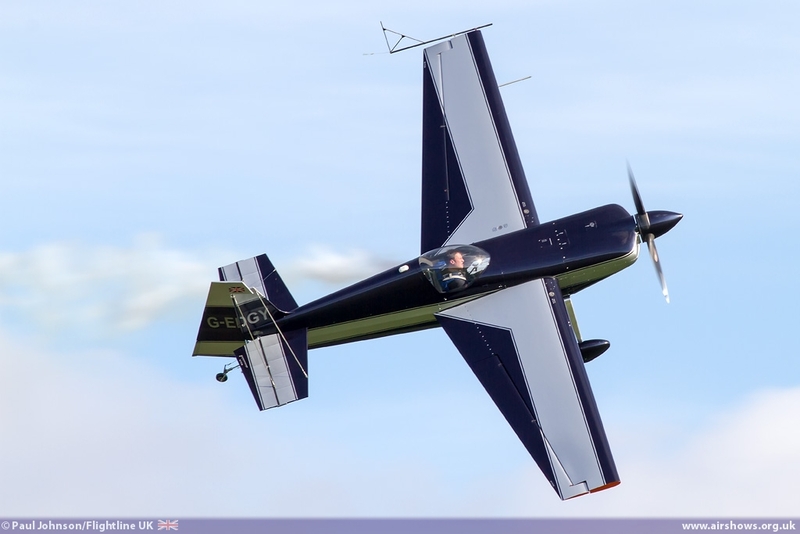 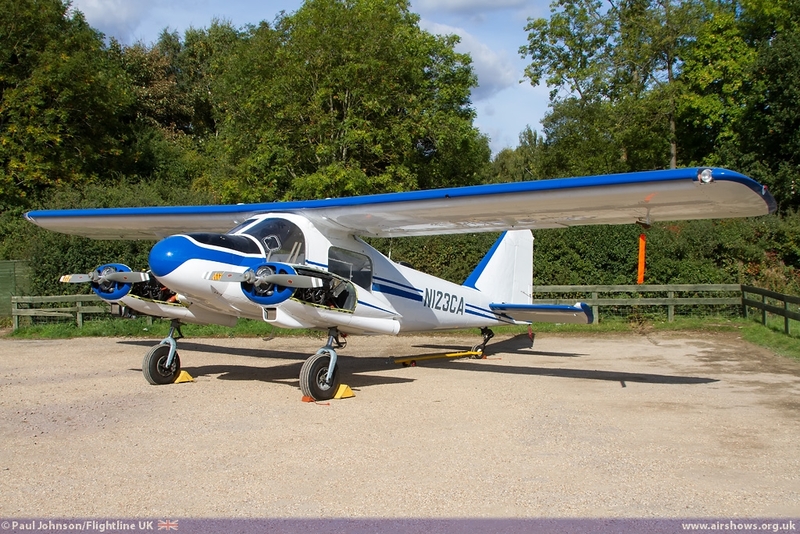 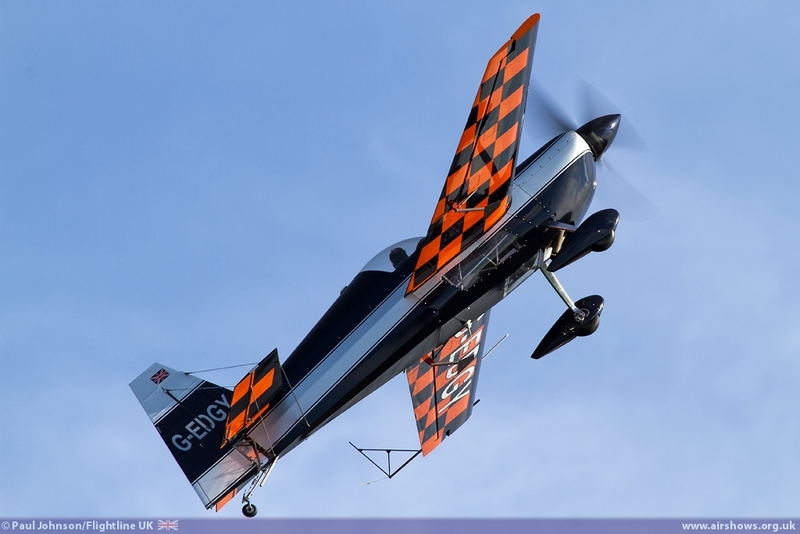 First to go was Kester Scrope in the Zivko Edge 540, the only UK-registered aircraft of its type in the UK. 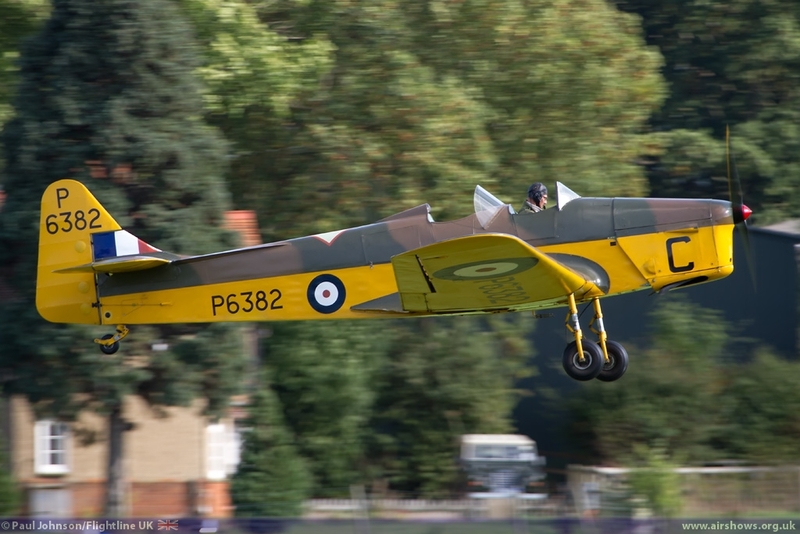 Kester did a great job of showing the incredible performance of the aircraft with numerous tumbles, flicks and a good deal of noise too! 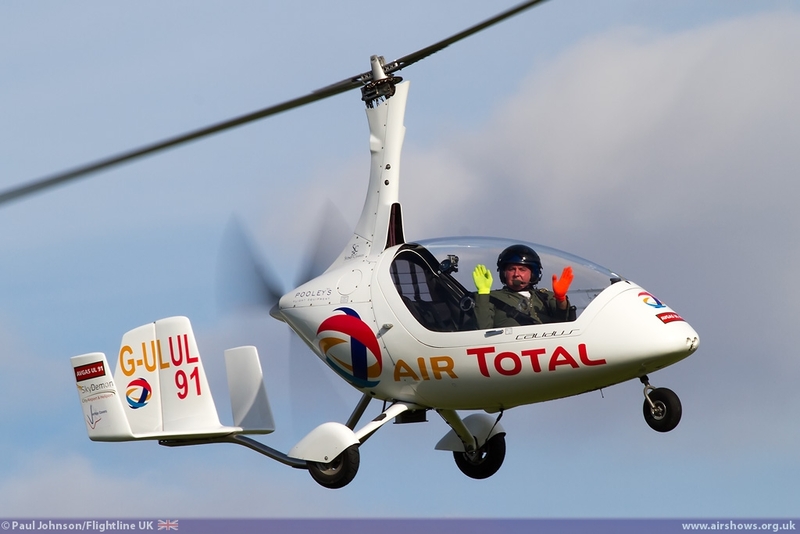 Peter Troy-Davies followed in his Callidus Autogyro. 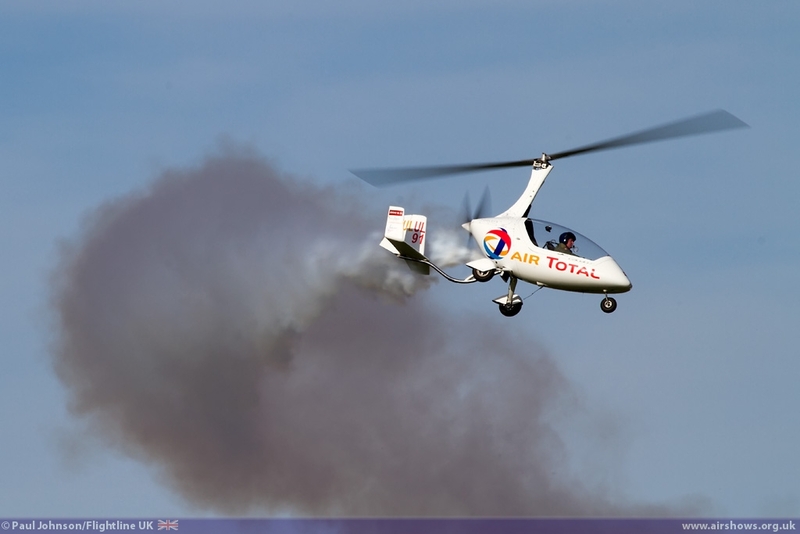 Peter’s display is always a surprise showing off some of the superb handling qualities of autogyros with added spectacle of smoke. 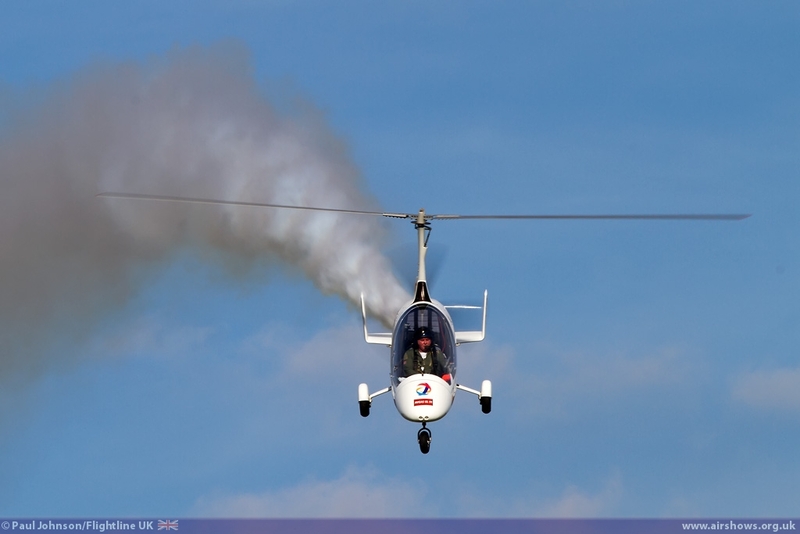 It was a superb tribute to the Autogyro and Wing Commander Ken Wallis who did so much to not only develop his own autogyros, but also to encouraged others involved in flying or developing autogyros. 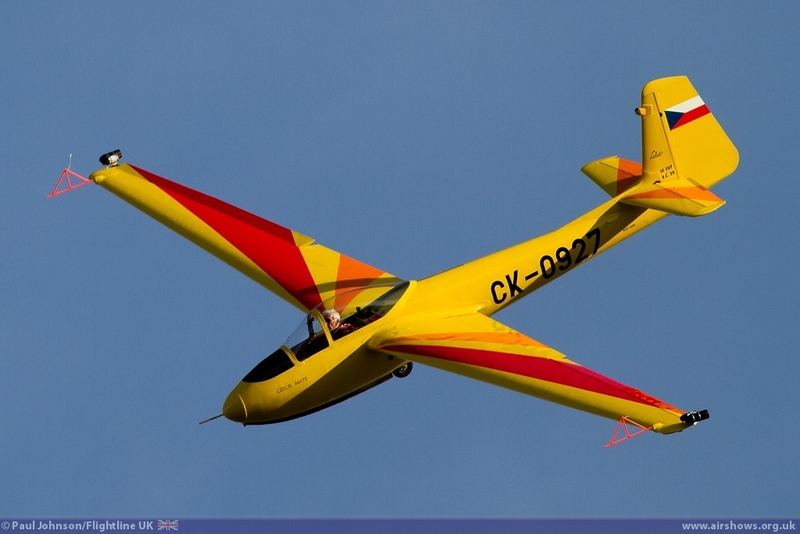 A further visiting display was Graham Saw in his Letov Lunak glider. 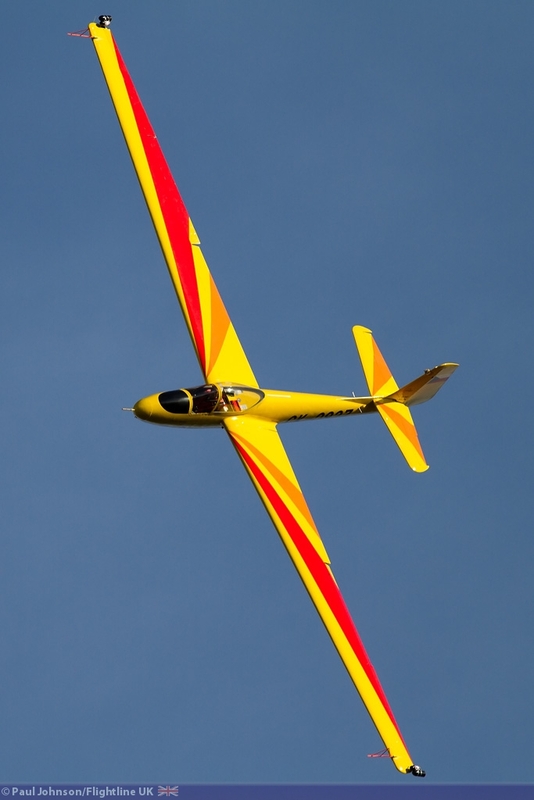 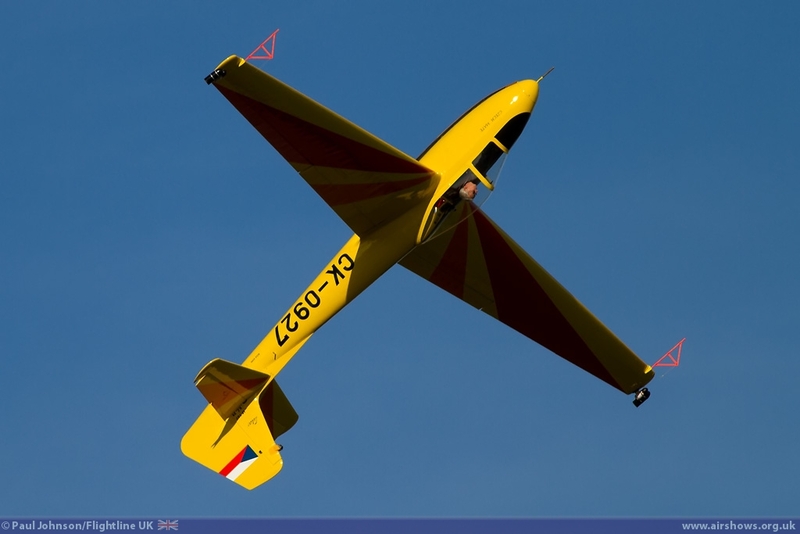 Developed in Czechoslovakia post war, the Lunak has found new life in being an effective aerobatic glider for intermediate-advanced level competition. 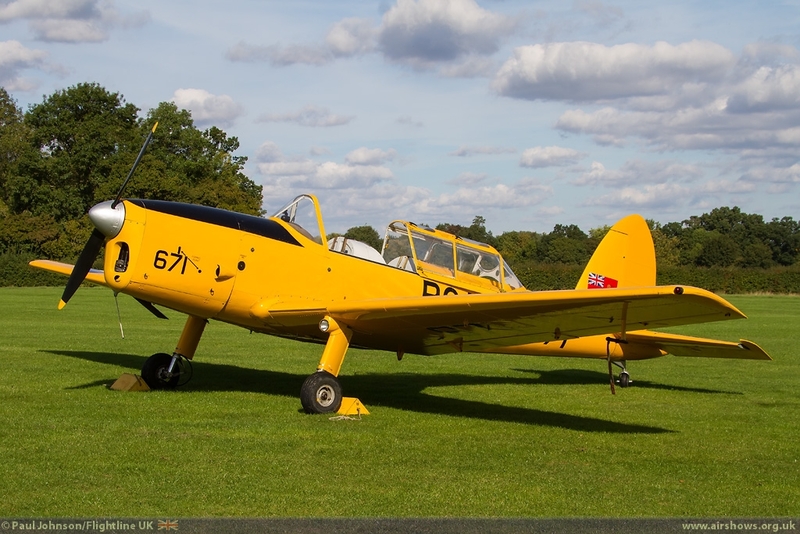 Graham’s display highlighted this and the bright yellow aircraft looked great against the deep blue early autumn skies. 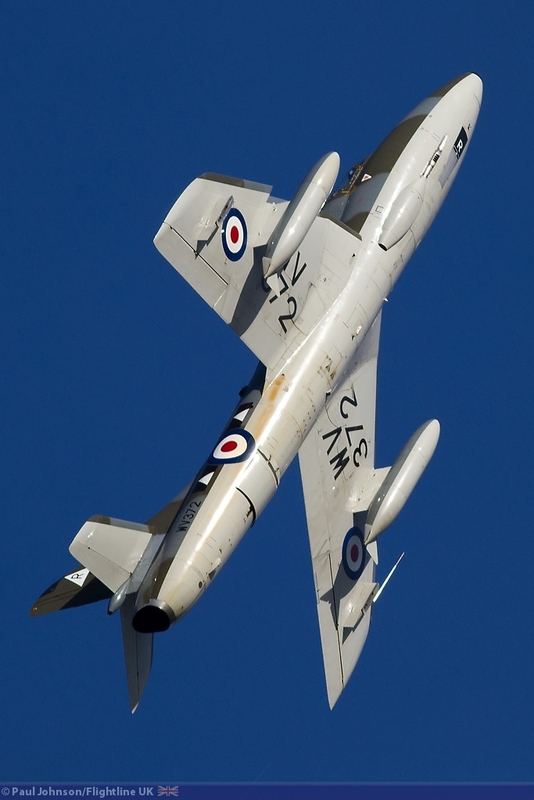 The closing segment of the flying once again focussed on military history. 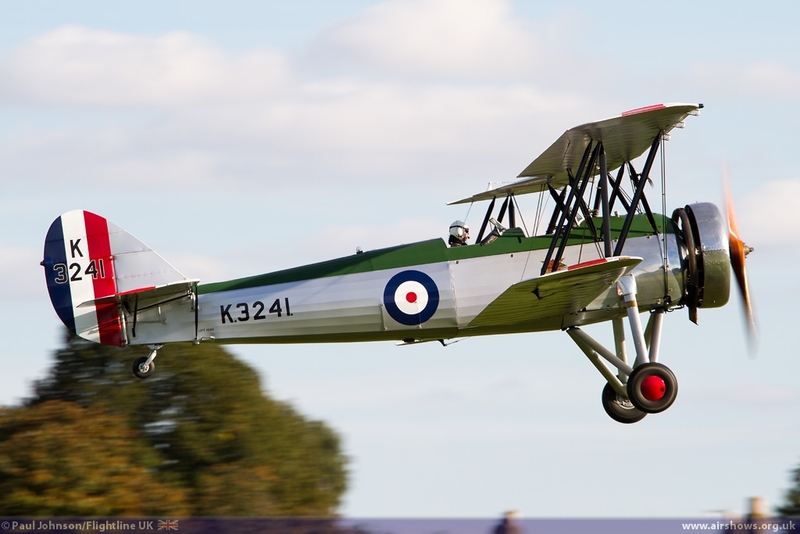 As well as their civilian collection, Old Warden has a superb collection of 1930’s RAF aircraft. 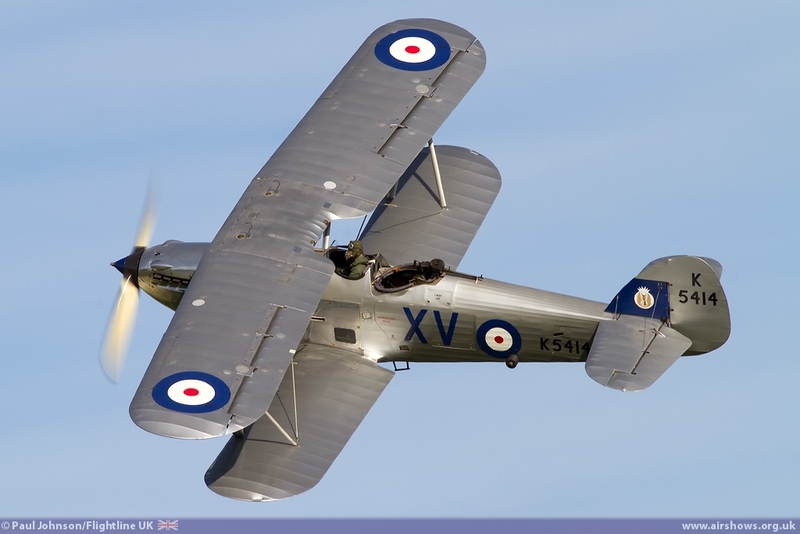 Representing the “Silver Wings” were the Avro Tutor and the Hawker Hind. 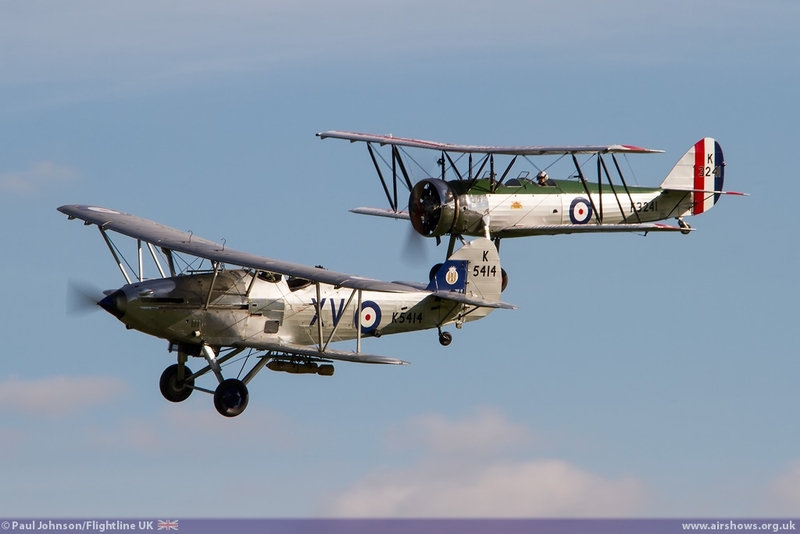 Both are regulars at Old Warden events but looked absolutely sublime in the sunshine. 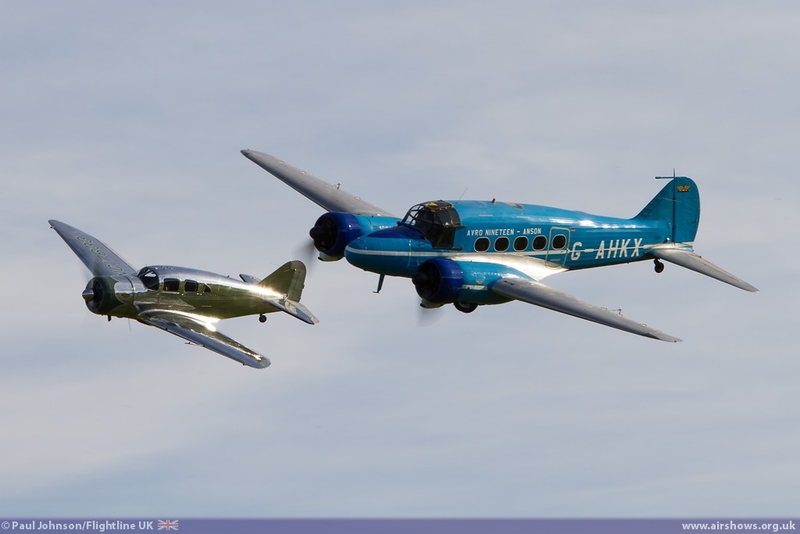 A slight intelude amongst the military aircraft was the pairing of Avro C19 Anson and the quite stunning Spartan Executive. 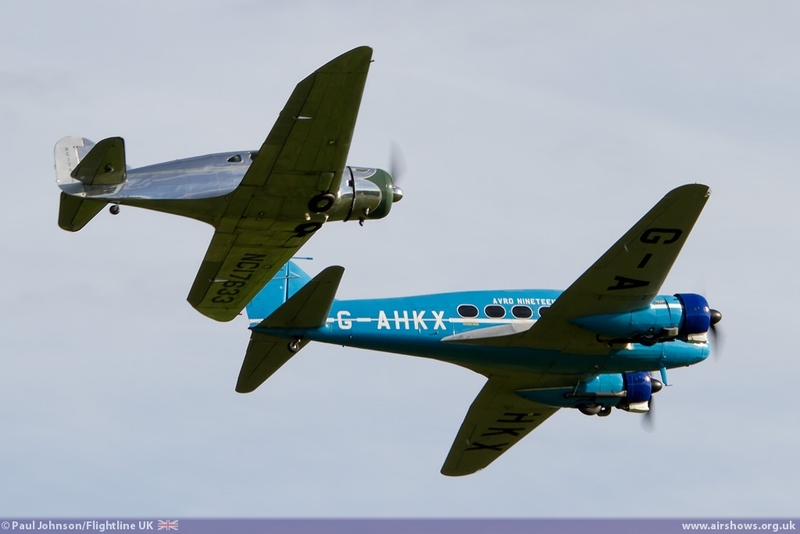 The latter was the 1940's equivalent of Learjet being a high speed executive transport. 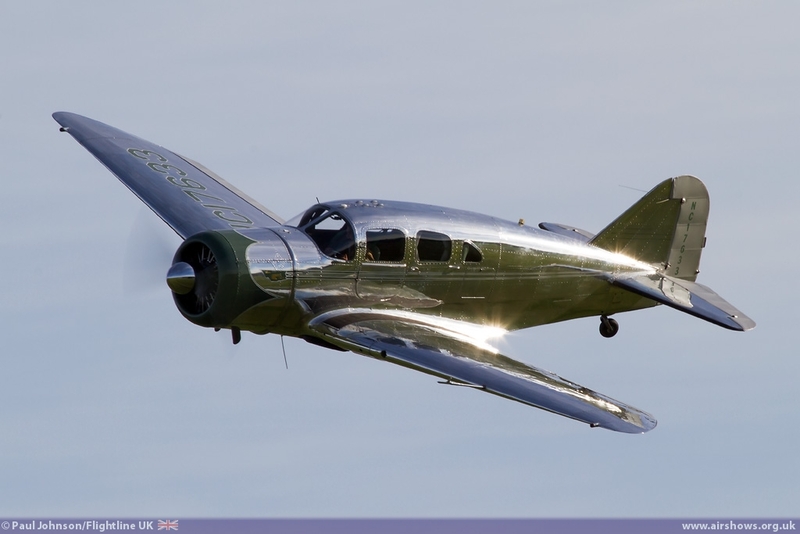 One of two examples based at Little Gransden, the aircraft on show at Old Warden looked stunning in it's polished aluminum finish. 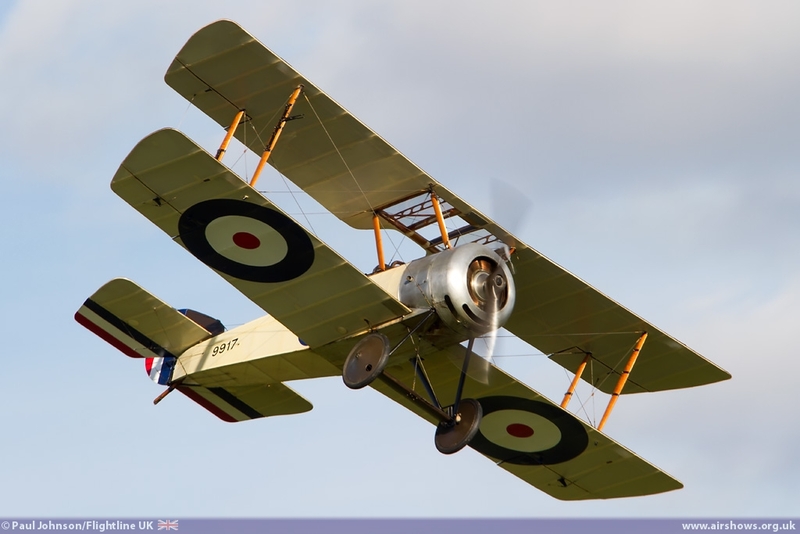 However the stars of the home-team based flying for many were the First World War era aircraft. 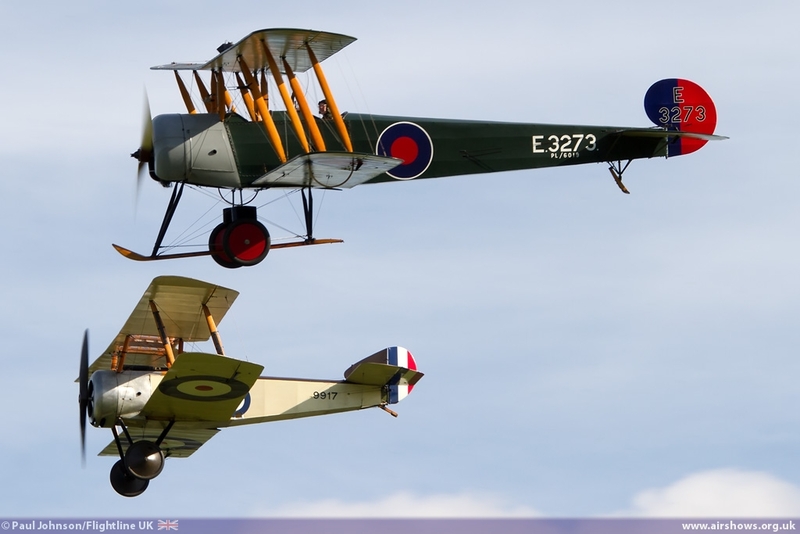 Displayed in two separate periods, six different types took to sky. 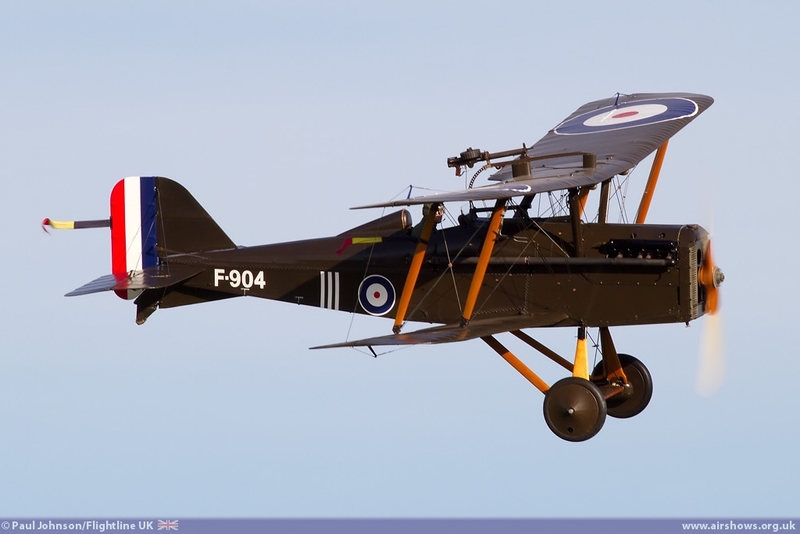 Leading the way was the Avro 504K. 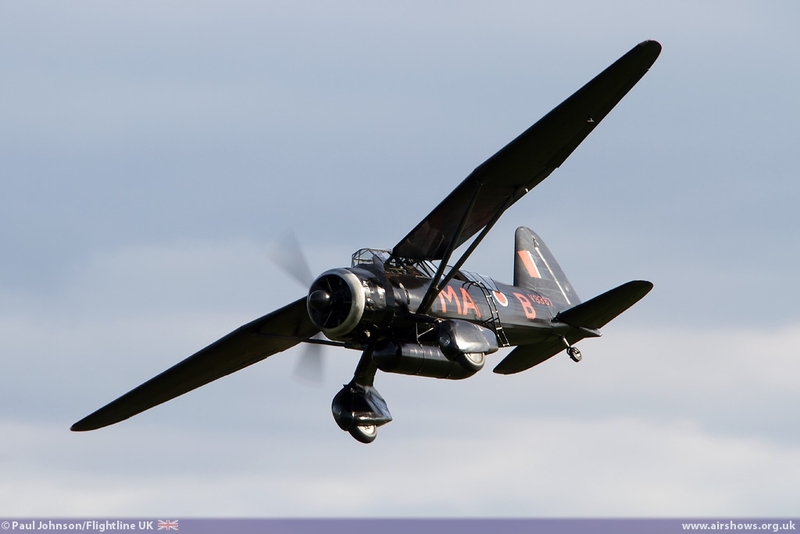 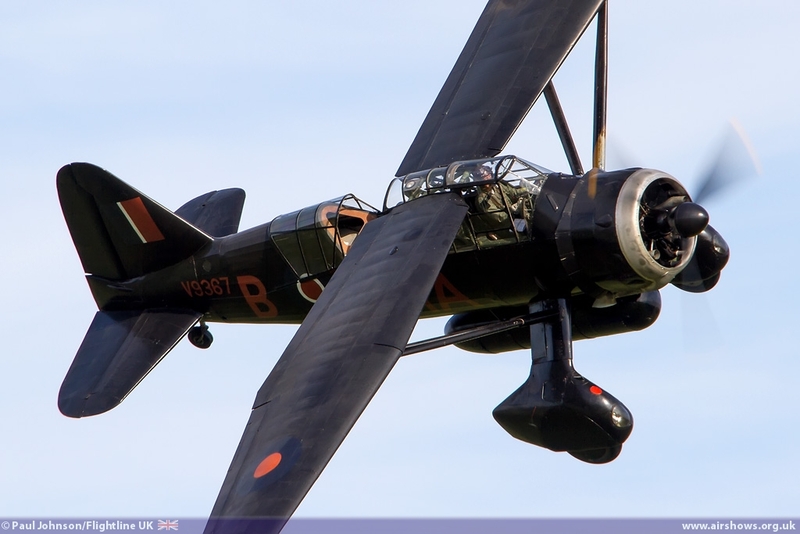 Recently refurbished, the ‘504 carries the guns and wears the markings of a Night Fighter aircraft. 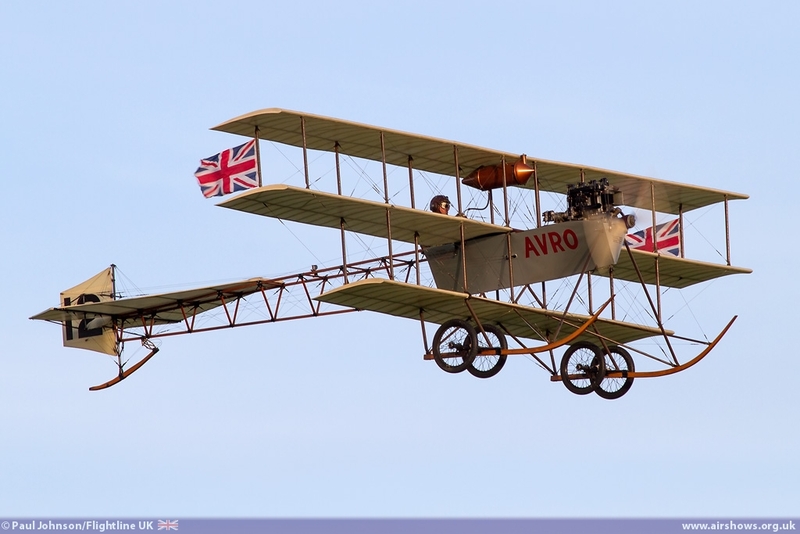 It is amazing to think that the first Avro 504 first appears at the Hendon Aviation Derby in 1913, 100 years ago. 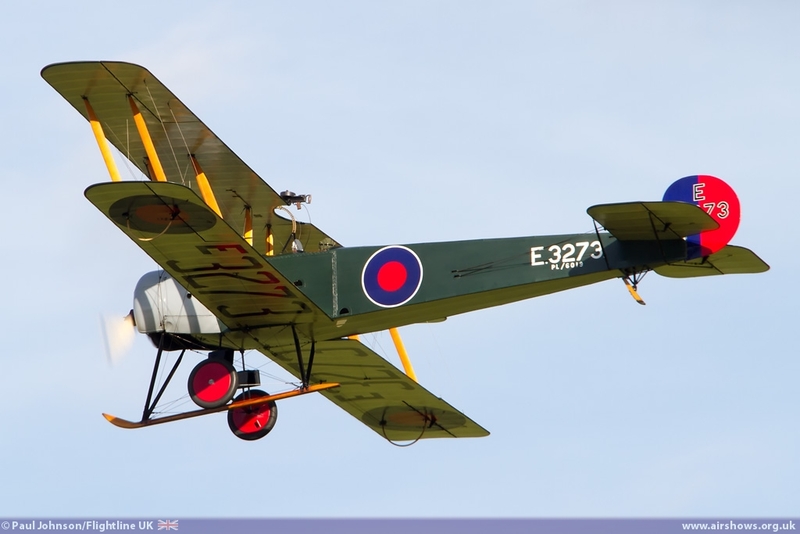 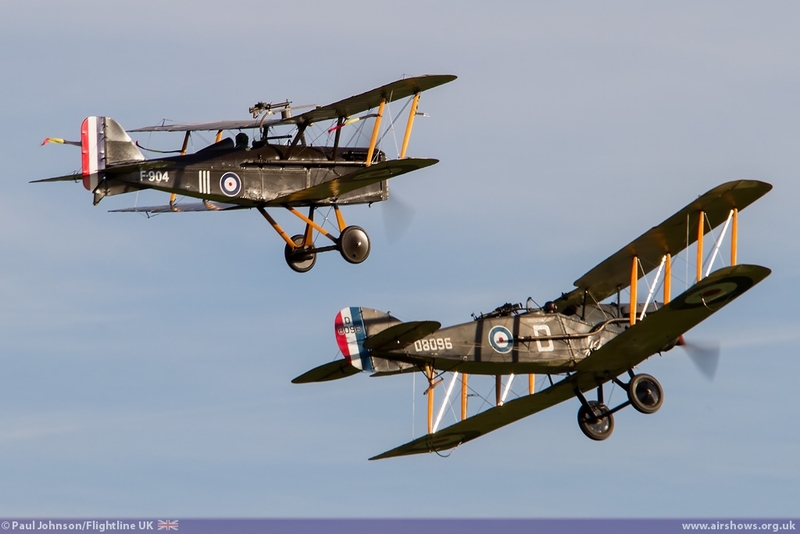 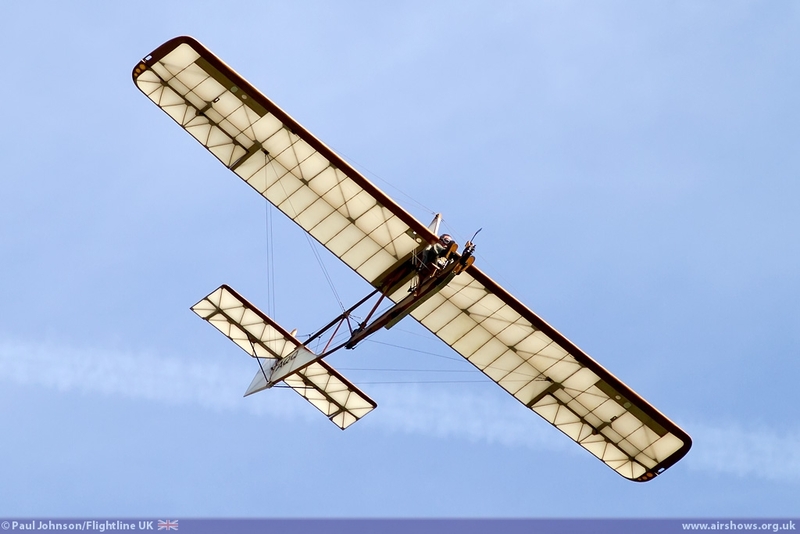 It was followed into the air by two more rotary aircraft and examples from the Sopwith Aviation Company, namely the Sopwith Pup and Sopwith Triplane. 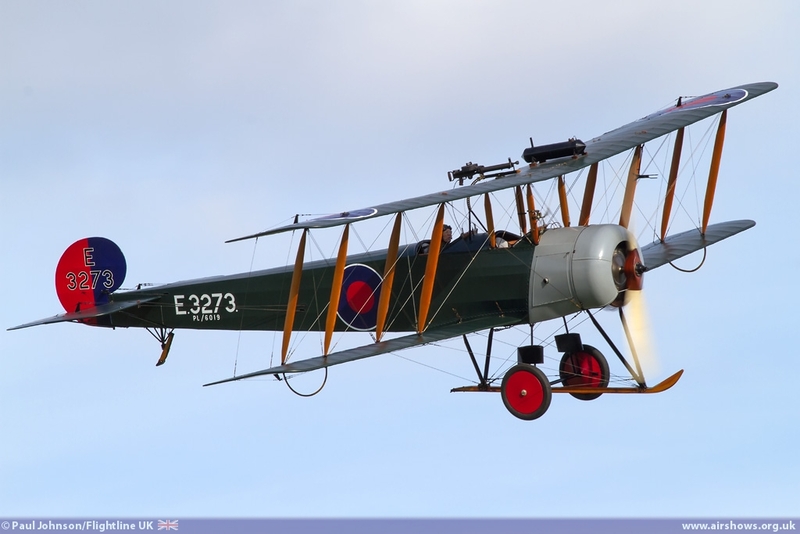 The second period of First World War aircraft got underway with the Bristol F2b Fighter and the RAF SE5a, both of which are regular flyer at Flying Days. 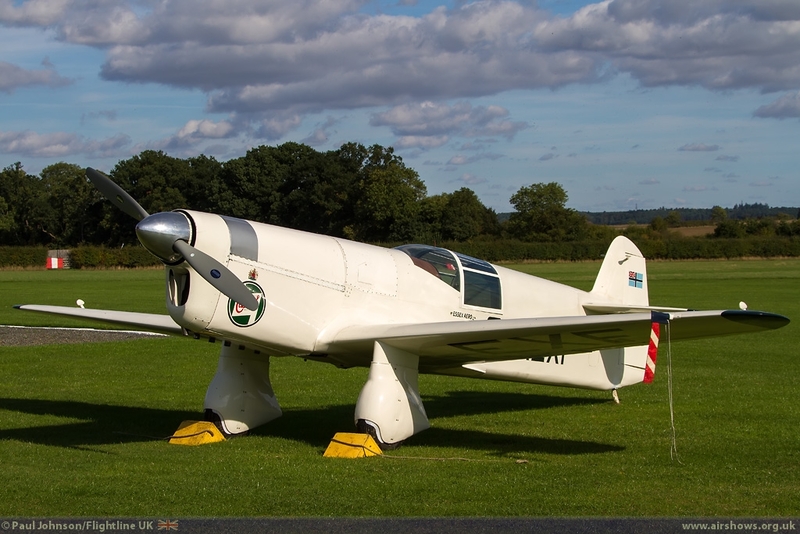 However the star of the sequence was the Bristol M1C monoplane. 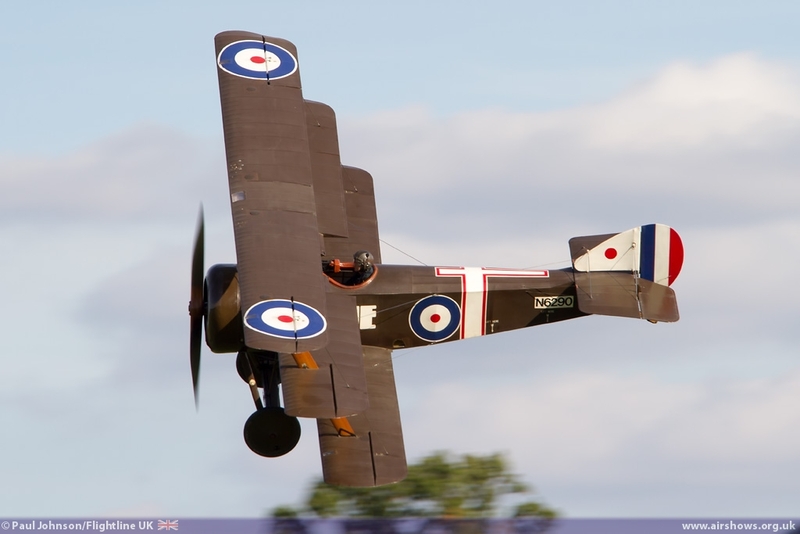 This aircraft is a replica built by the Northern Aeroplane Workshop for the Collection but is powered by a genuine Clerget rotary engine. 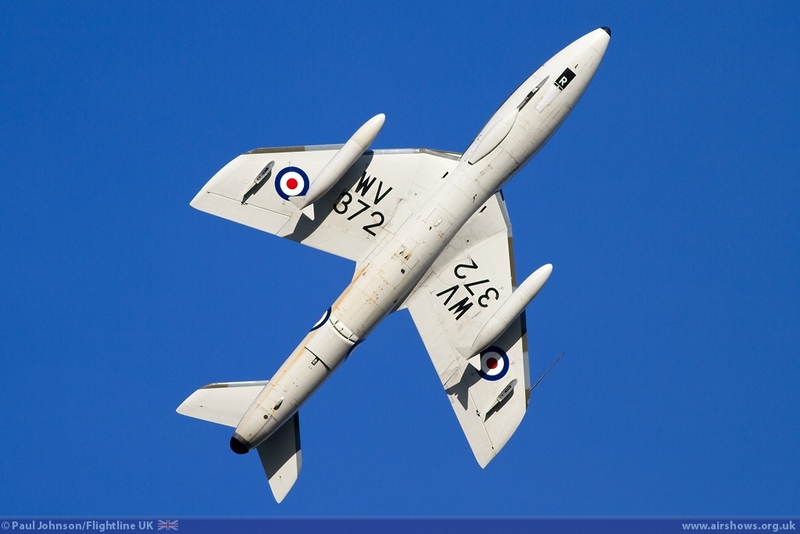 The M1C is often a forgotten type. 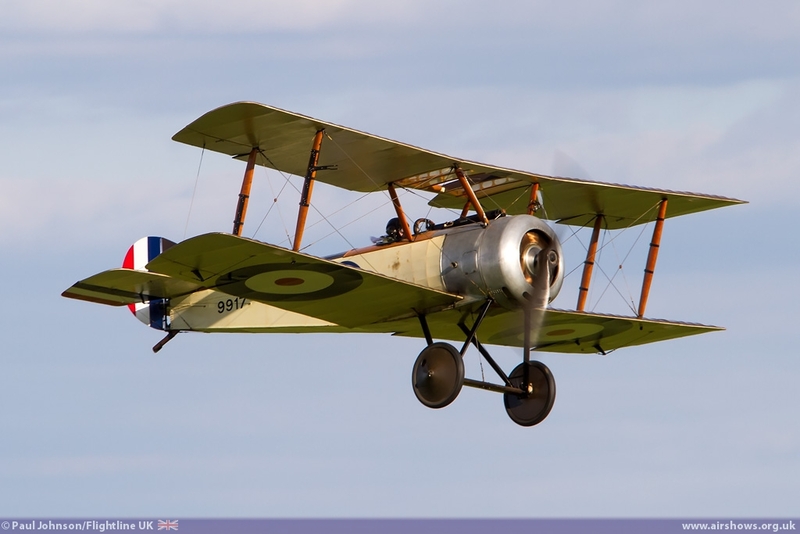 Though it was faster than other contemporary aircraft, its relatively high landing speed and a lack of regard for monoplanes meant it did not see widespread service in Europe. 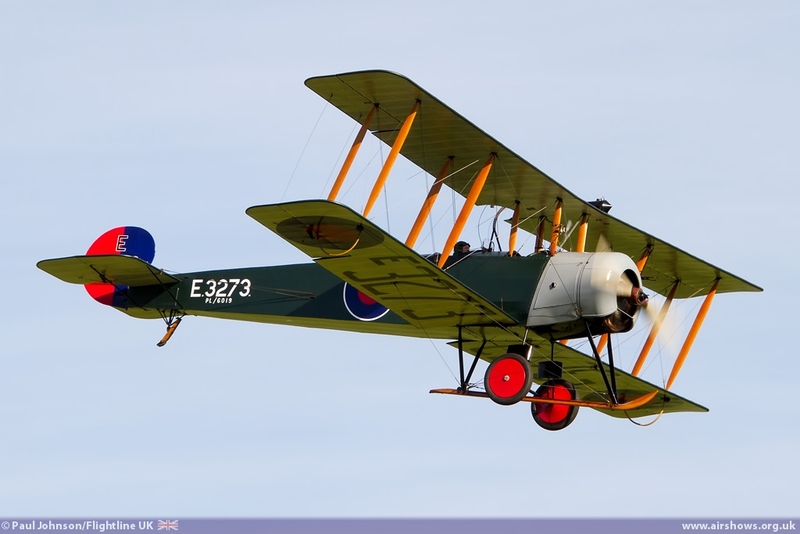 It did however did service in the Balkans and the Middle East. 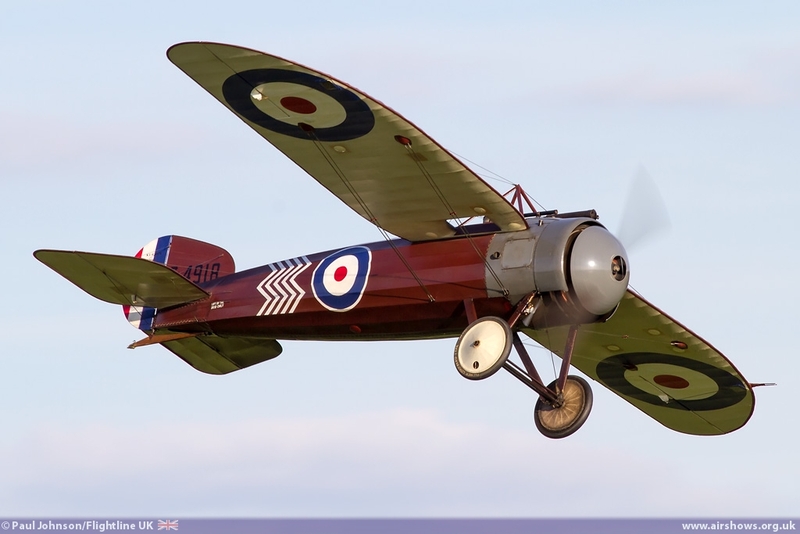 An example even made the first flight over the Andes from Chile to Argentina in December 1918. 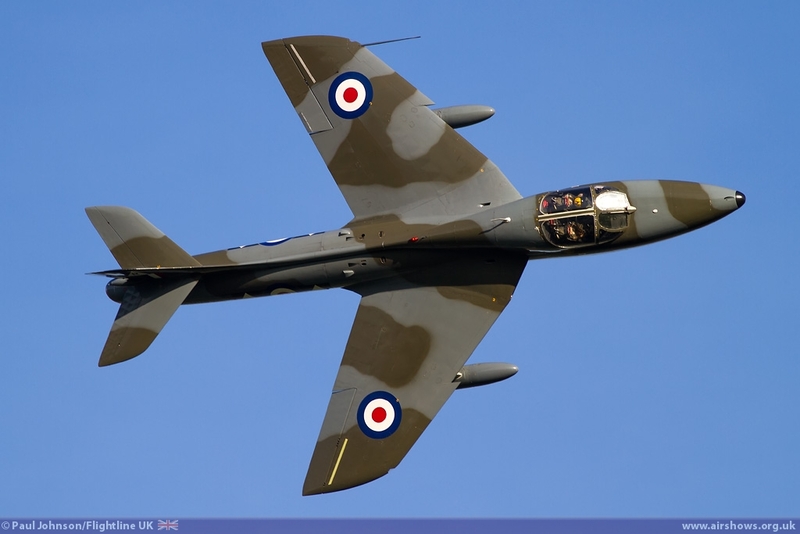 The main flying display was closed by Chris Heames flying Graham Peacock’s Hawker Hunter T7 from nearby North Weald Airfield. 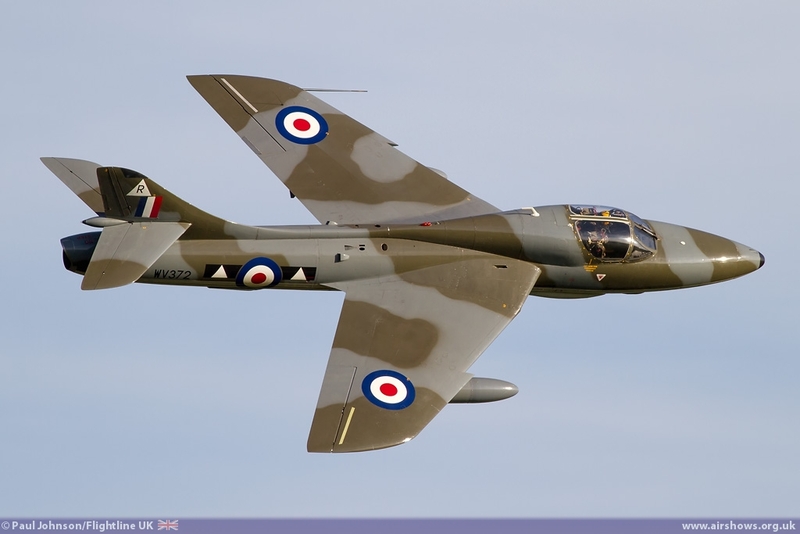 With the sun now quite low in the sky, the beautiful lines of the Hunter were superbly lit as Chris put on a tight show of aerobatics. 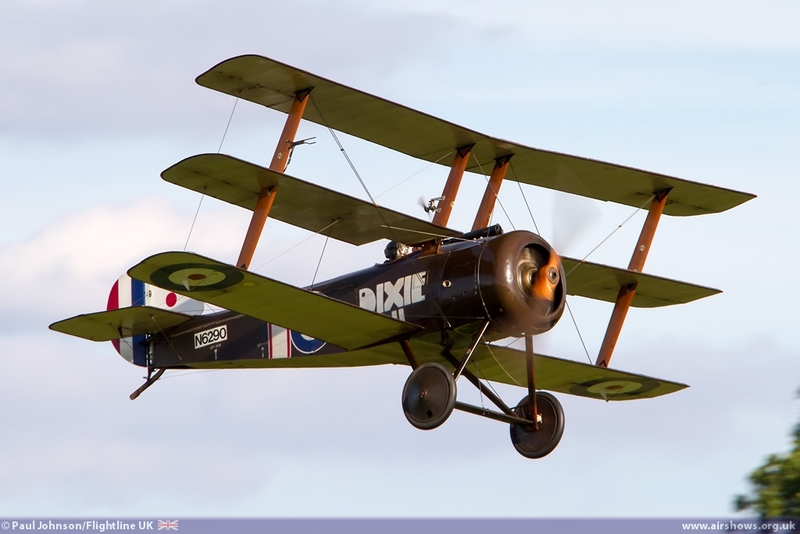 Following a brief period allowing for visiting aircraft to depart, the flying for this show and the year at Old Warden was closed by one of the Edwardians, the Avro Triplane. 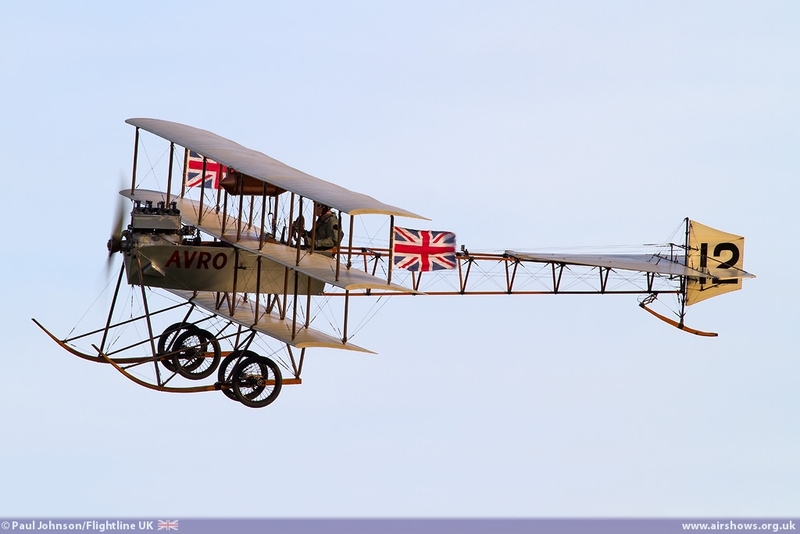 Sadly the brisk breezt at altitude prevent anymore Edwardians fly, but it was a fitting end to a superb show and season at Old Warden which has seen a multitude of varied displays over the delightful aerodrome. 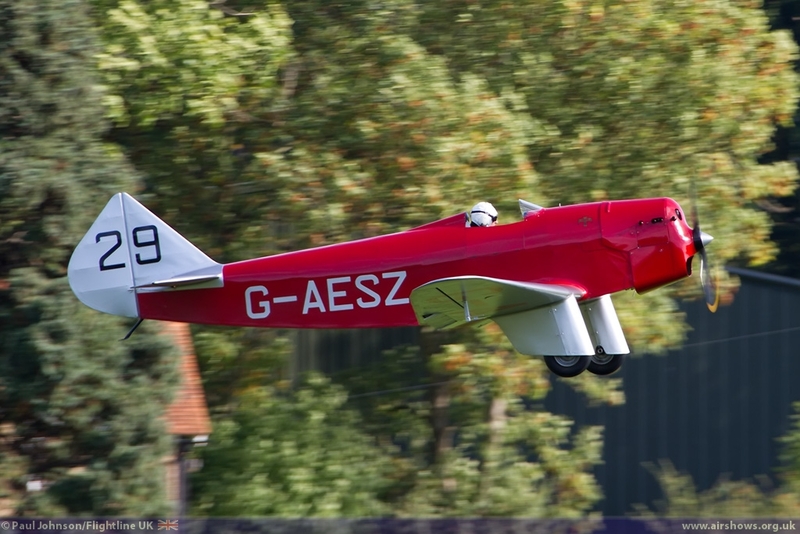 We cannot wait to be back next spring.